Sriz Beauty Blog: Aroma Essentials Black Magic Face Pack Review!!! 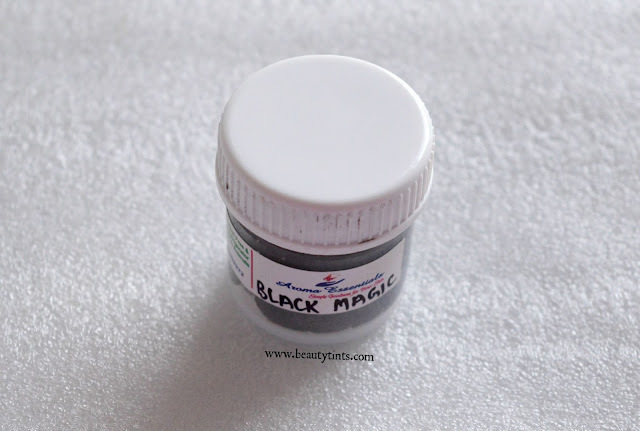 This week I am starting Face Pack series,in which I will be reviewing 7 different Face packs in these seven days.Today I am reviewing one of the super effective anti-acne and anti-aging face pack,which is the Aroma Essentials Black Magic Face Pack. 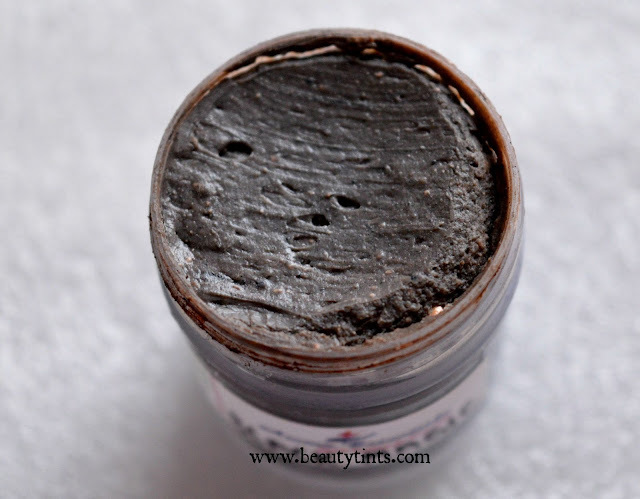 This is my first product from this brand and I absolutely love this face pack very much as it helped me in reducing the acne to a good extent with in short time. 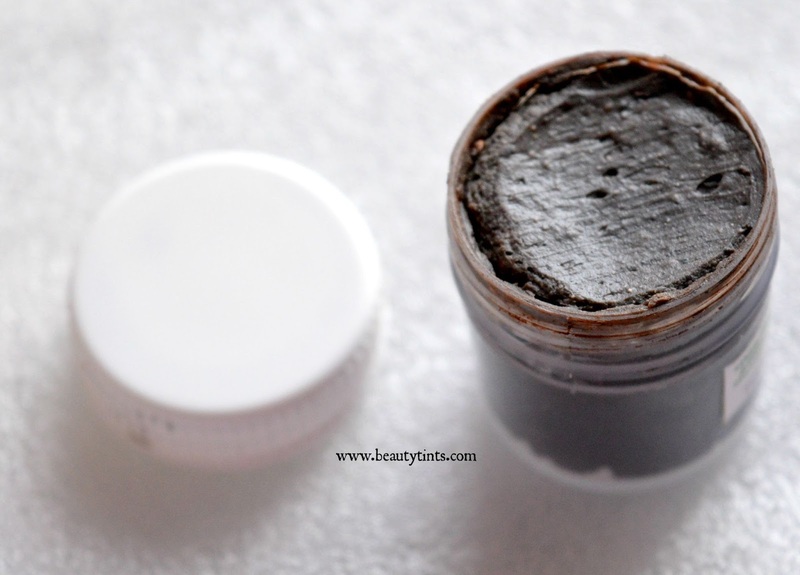 Packaging : It comes in a cute little plastic jar with a screw cap. 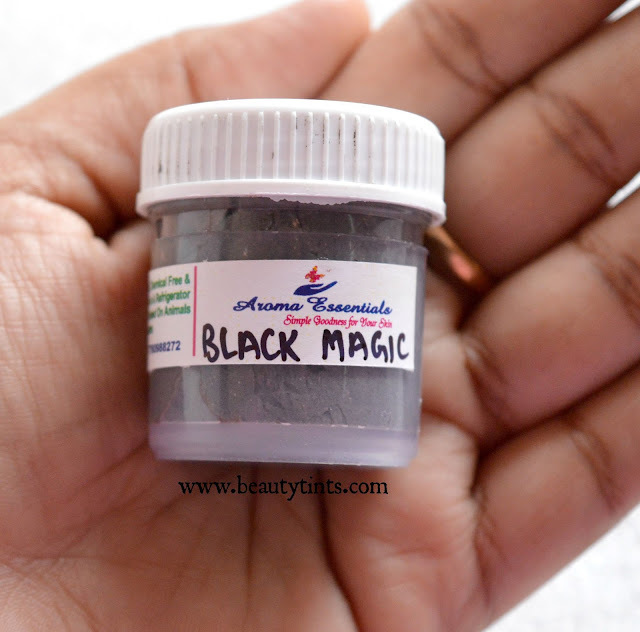 My Views On the Product : This Aroma Essentials Black magic face pack is a grey colored pack with tiny soft granular particles. 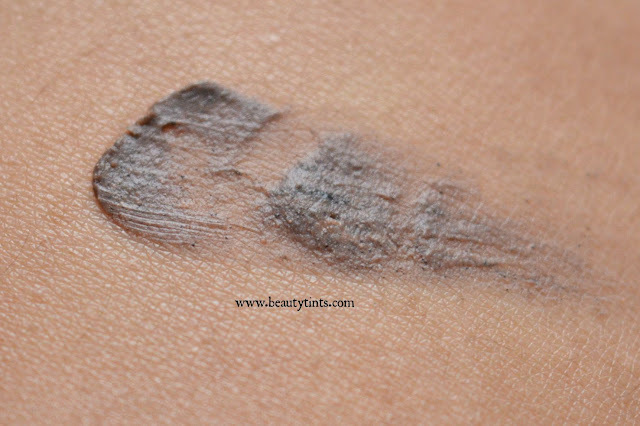 This has a mediocre consistency and spreads easily on the skin.Immediately after application,it may cause a mild tingling sensation, which later subsides,especially on the areas where there are active acne and pimples.This is actually because the powerful ingredients like Tea Tree,Thyme present in the pack,which are super effective in reducing acne.The pack gets dried very fast and gets rinsed off easily.So,we can use it any time in a day,even before going out,as it doesn't take much time.After rinsing,this pack gives a nice cooling and soothing sensation to the skin and relieves the irritation caused by acne.Upon continuous usage,it reduces the acne completely and prevents re- occurrence. 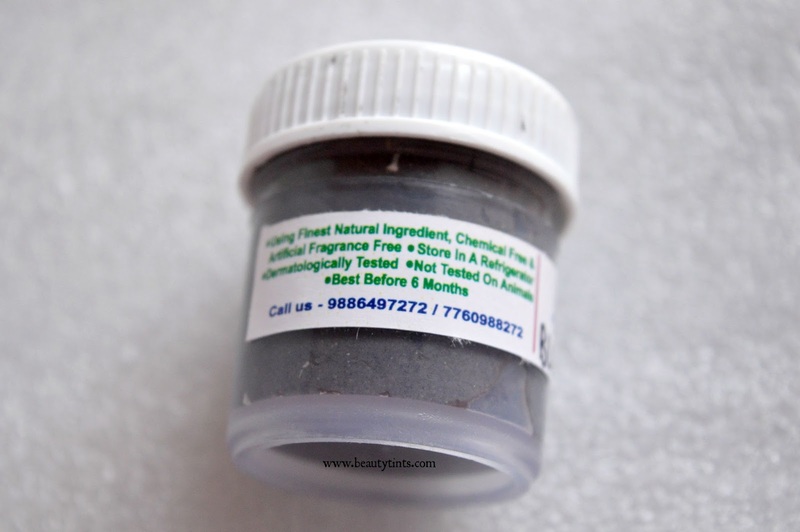 This pack contains the most effective ingredient Charcoal,which helps in deep cleansing the skin.This pack gives a good cleanup to the skin besides reducing acne.As a result,the skin becomes smooth,supple and radiant. This pack should be stored in a refrigerator,as it is preservative free and also free from other harmful ingredients.It is a bit pricey for the quantity but it is completely natural and a little goes a long way and so one tub lasts easily for more than 20 uses,which makes it affordable.The only con about this product is the missing ingredient list and other details like Manufacturing Date etc.,But Overall it is a good natural face pack which works effectively in reducing acne and pimples. 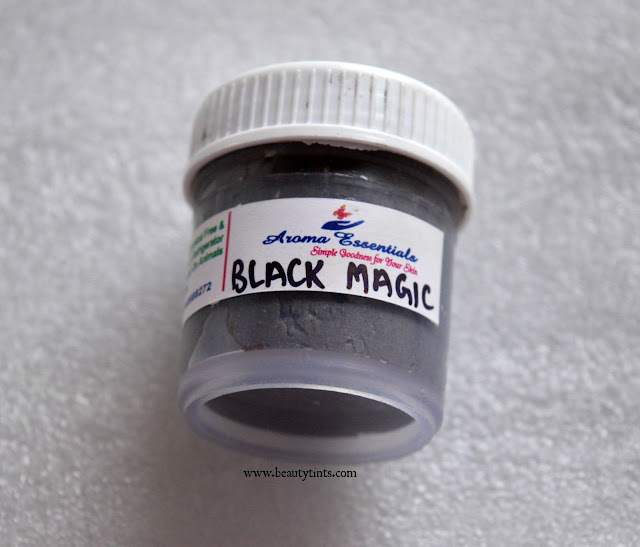 Final Conclusion about Aroma Essentials Black Magic Face Pack : Those who are looking for an organic solution for reducing acne and pimples,should give this miracle pack a try!! !